iDa Mobile products now for Legal Entities! Nowadays, in retail banking has been some slowdown, and more and more players pay attention to the market for small and medium businesses. Idea Mobile takes market needs into account and created ideal Business – a product, that combines the functionality for individuals and legal entities. 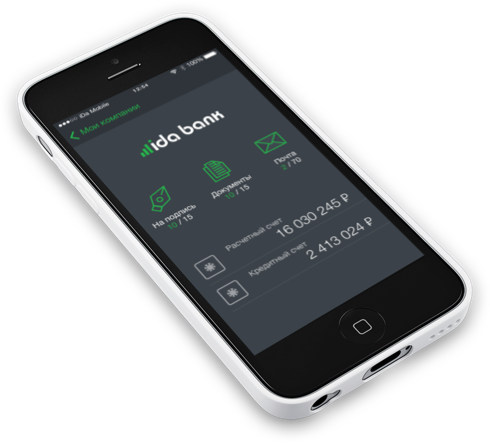 Based on the principles of iDa Pro, a new app has all the properties needed to serve entrepreneurs and legal entities (including support of business processes associated with payment confirmation).